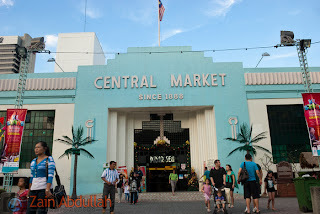 Located in the heart of Kuala Lumpur, a few minutes away from Petaling Street, Central Market is a famous landmark for Malaysian culture and heritage. The building was built in 1888 and originally functioned as a wet market. It has since been classified as a Heritage Site. 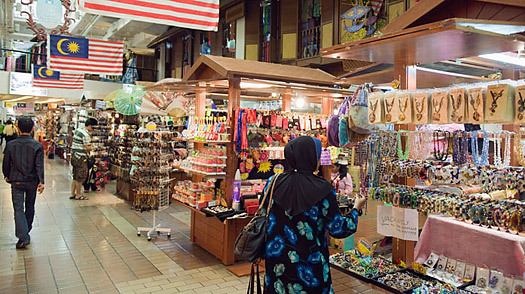 Tourists flock to Central Market for its variety of handicrafts, art, kebaya, songket, batik and authentic Malaysian souvenirs. A Batik Emporium houses well-known designer labels, with the best Malaysian-made batik items ranging from clothes, shoes, bags to home furnishing. The Central Market Outdoor Stage is where visitors can catch colourful arts and cultural events. During the country’s main festivals, the area will be lit up in theme, reflecting the multiracial diversity of Malaysians. For a more contemporary take on the local arts scene, The Annexe Gallery, located at the back of Central Market, is a popular venue for events such as film screenings, art exhibitions and public discourses.